Marianas RC&D can help facilitate groups and projects to find resources, secure funding and provide guidance in project/program development. Rural community areas such as our stand to benefit from the continuation of this type of federal program. While Marianas RC&D can continue as a private non-profit, it will be less functional without its very hard working regional coordinator who helps guide the local council in so many aspects. for one federal coordinator per RC&D Council. In turn, RC&D Councils seek outside funding to address local needs identified in RC&D Council formulated area plans for conservation and economic development. In FY10, RC&D Councils were able to raise an average of $6.93 in funding (from private foundations and government grants) for every $1.00 provided by Congress. However, since 2003 program funding has remained level and inflation has thus gradually decreased the level of RC&D Council services provided to local communities. Many RC&D Councils no longer have full-time coordinators, and many program assistant positions have been eliminated. In FY 2010-2011, Marianas RC&D was able to exceed a 1:1 ratio of matching local donations through projects of more than $250,000. By its simple nature and organization, every single person in the CNMI is an eligible member of the Marianas RC&D. The sample letter below can be used by anyone...simply adjust for your local area/community accordingly. Feel free to copy and paste this letter in its entirety to your own letterhead (or to an email) --- simply change the information where you see italics. I am a member of the Marianas RC&D Council located in Mariana Islands, including both the CNMI and Guam. I would like to add my voice to the many RC&D Council Members and supporters who are urging the Senate to restore FY 2011 funding for the RC&D Program. Please note: this is a PROGRAMMATIC REQUEST and not an earmark. The RC&D Program has created jobs and businesses, and leveraged financial means to support economic development and protect natural resources. On average, $6.93 is generated for every $1.00 of federal funds invested in the RC&D Program; for some RC&D Councils the leveraged amount is even greater. If funding for this program is cut, there are a number of local community projects only just getting off the ground that will suffer or just simply end or not happen at all. These include an array of environmental awareness and restoration projects, species protections projects, alternative energy projects, science programs as well as various projects aimed at bringing local agriculture, aquaculture, and fishing products to market. The variety and types of assistance that RC&D bring to our community are wide. Just a quick reminder that First Friday Films will be showing "The Man Who Planted Trees" tomorrow night (April 1st) at 6:30pm in the American Memorial Park Visitors Center. 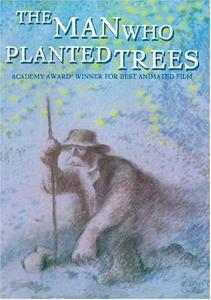 The Academy Award winning animated film tells the story of one man's long and successful single-handed effort to re-forest a desolate valley. The touching family film is a tribute to how much good one person can accomplish in a lifetime. There will be some great displaces in the lobby and prizes for some of the children in the audience following the film. Additionally, Dr. Dilip Nandwani from NMC CREES will be at the film to speak about their revegetation and planting projects. The Pacific Historic Parks (formerly the Arizona Memorial Museum Association) Bookstore, located inside the visitor’s center, will be open until 8:30 p.m. All proceeds go to community education programs. For planning purposes, the program will run about 60 minutes. As always, First Friday Films is free and open to the public. Earth Hour 2011 will happen from 8:30-9:30 pm on Saturday night (March 26). Take an hour to relax and shut out the lights to pledge the CNMI's support for cutting fossil fuel use. Get outside under the stars, have a candlelight dinner, go for a walk - anything without the lights on. Cut your electricity use for just one hour and join millions of people all over the world as we show leaders that small actions can make a difference in a changing climate. The Council is excited to present a series of community conversations on the topic of geotourism from March 10-15 in Saipan, Tinian, and Rota. “Geotourism Conversations” will feature Jonathan B. Tourtellot, a National Geographic fellow and the founding director of the National Geographic Center for Sustainable Destinations. Mr. Tourtellot will introduce the basic principles of geotourism, share recent worldwide trends, and facilitate discussion on possible geotourism activities for the CNMI. All conversations are free and open to the public. More information can be found on the Council website: http://www.nmihumanities.org/. If you have any questions, please contact Merced Ada at 235-4785/7 or mada@pticom.com. Please see the attached flyers for dates and times. 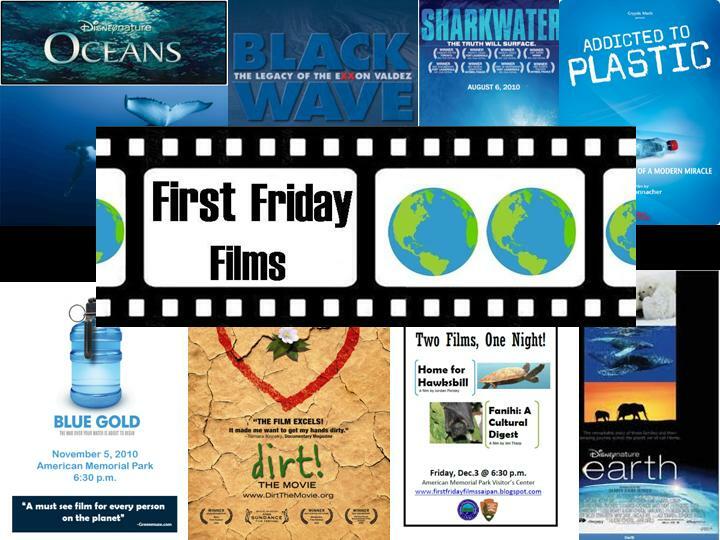 The Division of Environmental Quality’s Environmental Awareness Month is just around the corner, and in celebration of its first year, First Friday Films wants you to choose which films it will be showing throughout April! 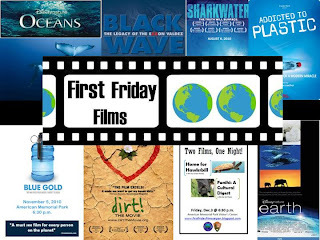 Log onto the First Friday Film website, www.firstfridayfilmssaipan.blogspot.com, to vote for the previously shown films from the last year that you would like to see again and to vote for the new films that you would like to see as part of Environmental Awareness Month. Descriptions of the films up for voting is also available on the site. Voting will be open until the end of March. The winning film from each of the four categories will be shown as part of our First Friday Films days on April 12th & 13th and 20th & 21st. The schedule for the film screenings will be released on April 1st. All First Friday Film events are free and open to the public. Log on and vote today!